Due to high demand for this product, it is not available until 5/11/2019. I understand that my entire order will not ship until 5/16/2019. Printed with your details, Kate Aspen's Personalized 12 oz. Mason Jar Mug adds a down home touch to your special day! The rustic drinkware features a handle on one side and a silver screw-top lid, and may be used at the wedding for serving beverages, holding candy favors, or strung with lights and incorporated into your centerpiece décor! A lasting favor, the Personalized 12 oz. 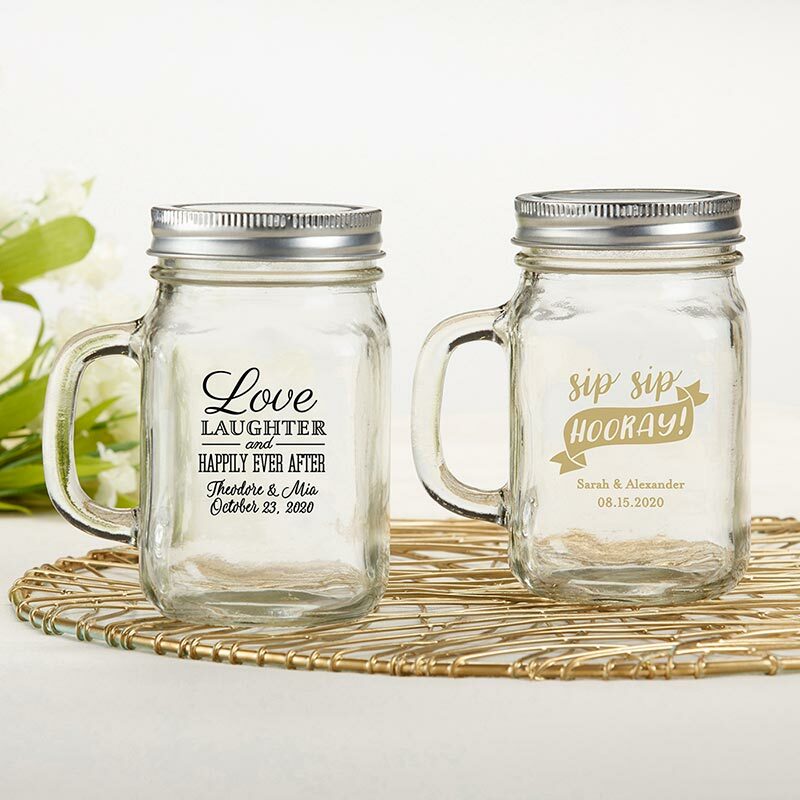 Mason Jar Mug with a wedding design is a useful gift guests will use to remember your celebration for a lifetime! Mason jar mug measures 2.7" w x 4.8" h x 2.7" d (3.9" w with handle), Lid measures 2.7" w x 2.7" h x 0.6" d.
Minimum order of 36 required with personalization. Only available for delivery in US and Canada.